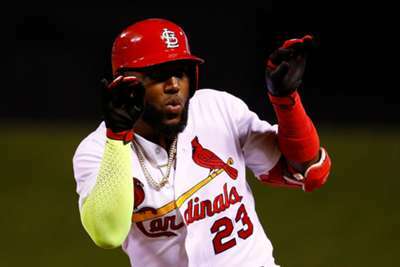 There is a reason MLB All-Star Marcell Ozuna was left out of the line-up in the St Louis Cardinals' 5-2 loss to the Kansas City Royals, it is just not a good one. St Louis' offseason acquisition overslept for Wednesday's game and was left out by Cardinals manager Mike Matheny. The 27-year-old Ozuna said he slept through his alarm and apologised after the game. "I made a mistake," Ozuna said. "Everybody can make a mistake. We are human." Ozuna has looked very human this season after starring with the Miami Marlins in 2017. St Louis starting pitcher Michael Wacha did not even know Ozuna was not in the line-up until rookie Tyler O'Neill stepped up to the plate in the second inning. "That stuff happens," Wacha said. "I heard he set multiple alarms. Some people honestly sleep right through them. He's a great team-mate. He's a great guy in this clubhouse. No hard feelings here."